Why Would You Chose An Ice Jig? The Environment That Leeds To That One Lure? "On page 175 of the Big Bass Zone (print edition) is a picture of Bill fishing a Rapala ice jig (Jigging Rap), but no explanation as why he chose that lure to fish. So what was going on in the environment that led him to that one lure?" 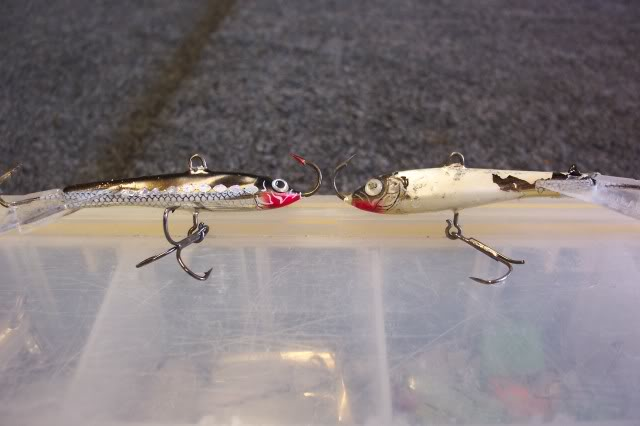 Here is a picture of two ice jigs, the one on the left is new out of the box and the one on the right is after a 50 fish day on the water. Smaller bass on the bottom, but the big girls are at the top of the water column. Spoons can be an effective tool for catching big bass during the winter months – if they're properly utilized. If you know what to look for, then this might happen more than you think. Look close at this picture. The baitfish are holding in the middle of the water column, but sitting on top of the bait is a big fish at a spot on spot location. In the BBZ terminology you would say “ I am fishing the middle but targeting the top of the cover and need to pull my bait uphill in the funnel (can you see the drop in the line of the bait fish and at that same spot there is the fish arch?) 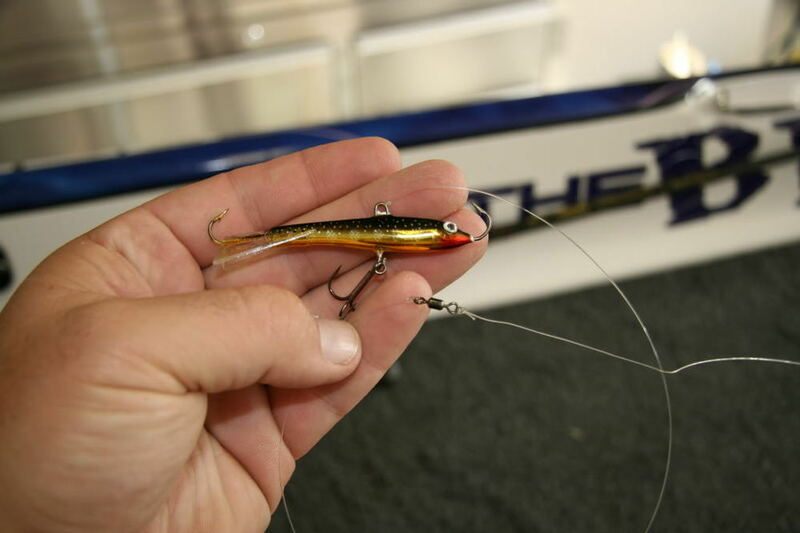 Fishing this bait is no different than fishing structure now and if you can create the funnel and do a directional change by jigging your lure then very good things will happen. Small 1/8oz spoon seen falling from top to bottom. 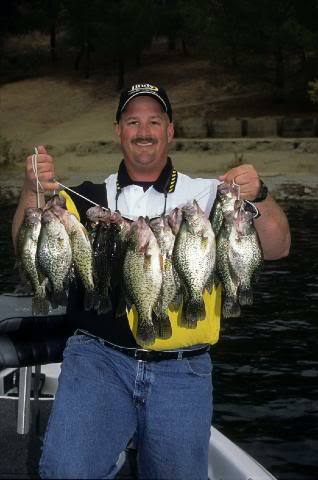 In the morning I found the bass, but late afternoon it changed to big slabs. Hope all of you enjoy and are able to catch a few more out on the water this winter.